Daily from 9:00 a.m. to 5:30 p.m. Experience total relaxation at Spa Q, a peaceful haven from the stresses of everyday life at Hilton Fort Lauderdale Beach Resort. Indulge in a wide variety of luxurious beauty treatments at this hotel spa, including invigorating massages and soothing skincare remedies, all performed by highly trained therapists. Spa Q offers both indoor and outdoor treatments so guests can choose the treatment that is right for them and customize their spa experience. Spa Q offers a range of both indoor and outdoor treatment areas for guests to enjoy, including the outdoor spa terrace which provides the perfect setting for a relaxing couple’s massage. Three treatment rooms are available at this hotel spa, as well as a waiting area where guests can relax before or after their treatment. Visiting Spa Q also gives guests complimentary access to the swimming pool and whirlpools located in Sunrise Terrace. 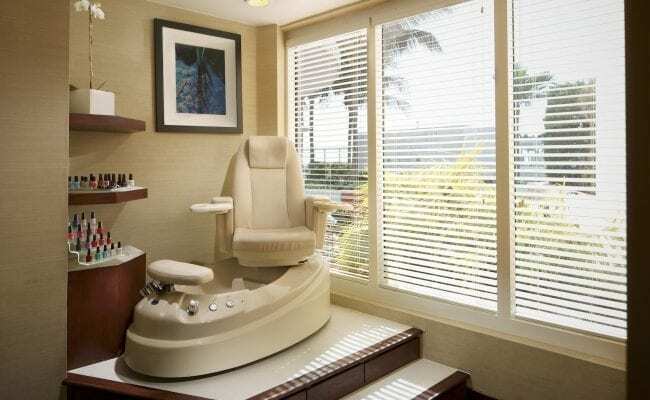 Indulge in a variety of treatments during your visit to this hotel spa in Fort Lauderdale. With three different treatment packages to choose from, you can customize a treatment program that’s right for you. Choose the De-stress Package and relax with a massage and facial, or the Rejuvenate Package offers an invigorating Swedish massage and luxurious body exfoliation. Be sure to take advantage of a nail treatment so you can look your best after your visit.